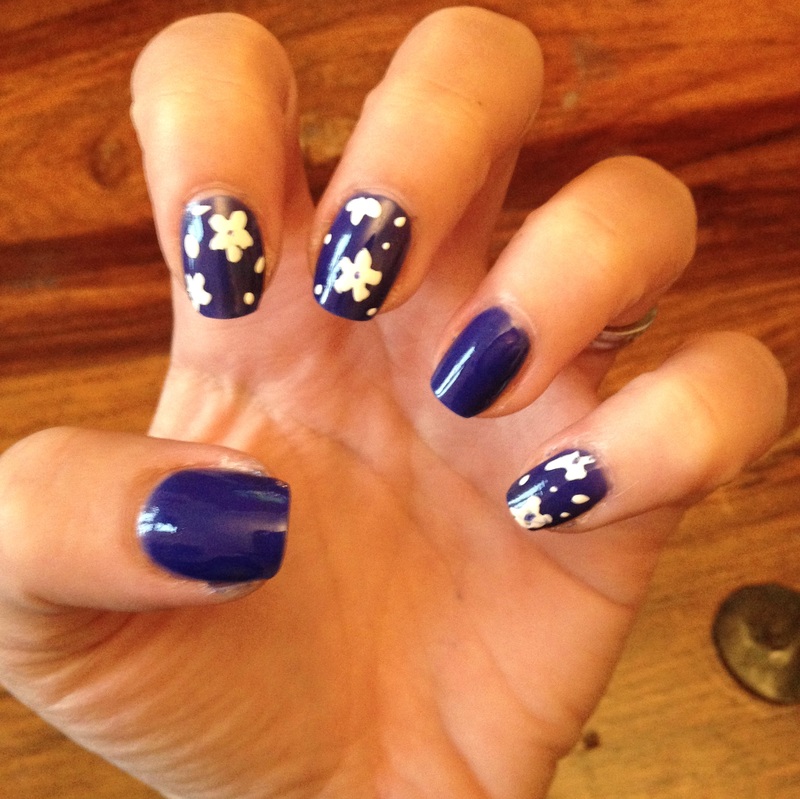 My relationship with blue nails all began when I was introduced to Nails Inc Baker Street. 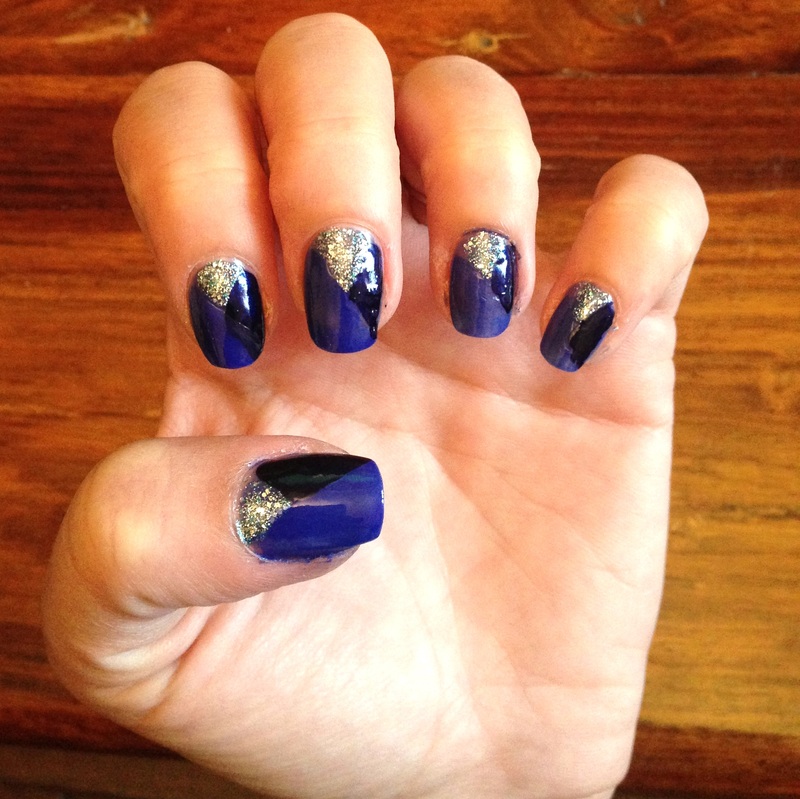 When typing on the computer I would catch a glimpse of my nails and find myself just gazing at them. 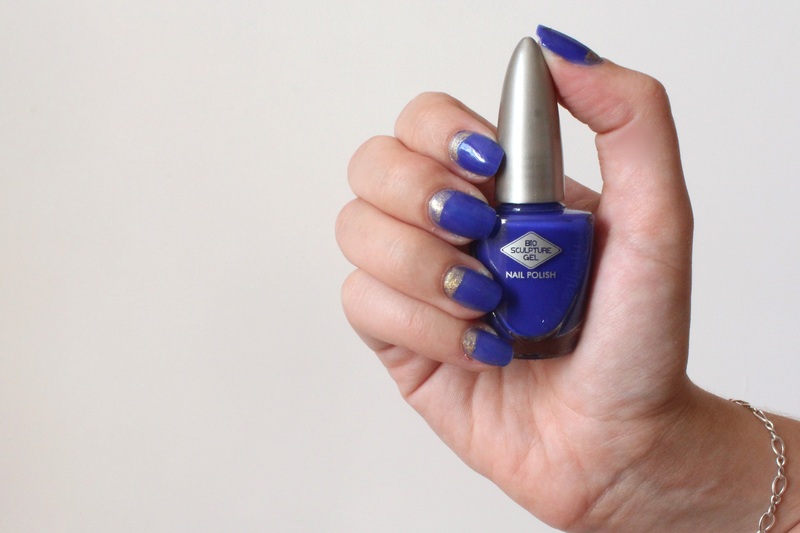 Who would have thought the colour of your nails could dictate your mood?! 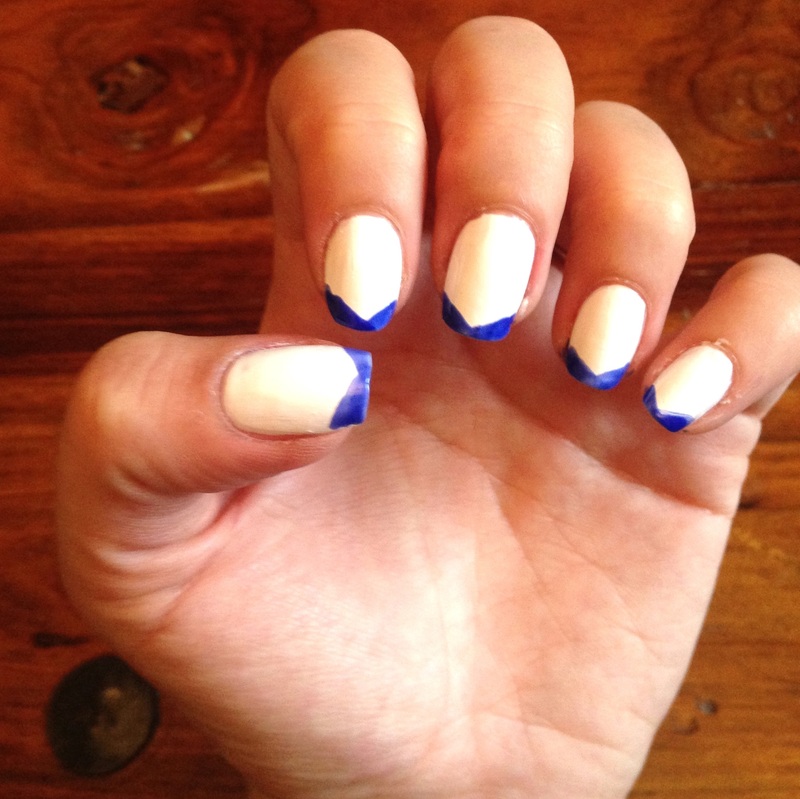 Ironically blue nails make me happy. 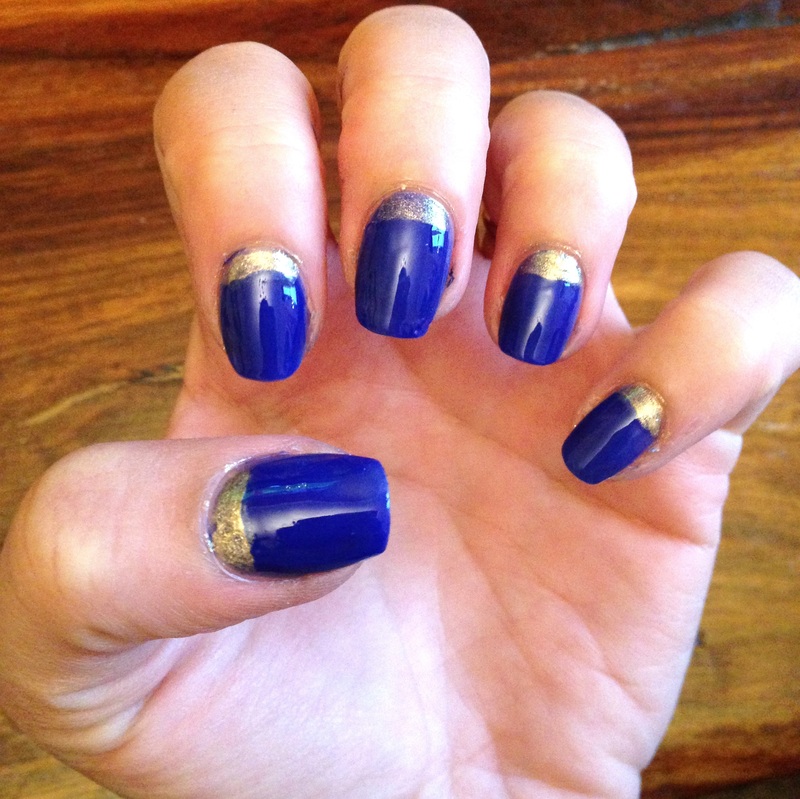 This Bio Sculpture blue polish is the perfect mid tone, with enough va va voom to make you smile. 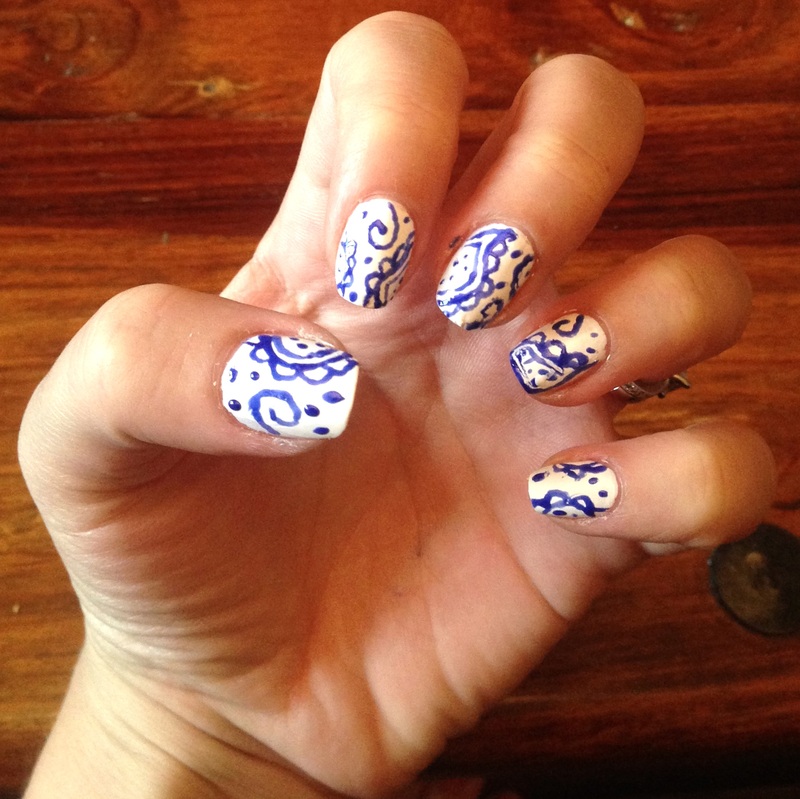 In order to test run this polish I experimented with a few simple nail designs. All of these designs were created using the Bio Sculpture Havana Nights polish as well as a simple gold shimmer and white nail varnishes.